Airport bosses in Inverness have appointed contractors to install state-of-the-art £242,000 baggage x-ray machines – which have the latest explosives detection system. Highlands and Islands Airports (Hial) is looking to upgrade security measures at the terminal on the outskirts of the city to help improve check-in protocols for passengers. Two new baggage X-ray machines are to be installed in the security search comb area of the airport over the next year. The successful bidder awarded the contract is Watford-based Smiths Detection. The machines will replace the airport’s existing equipment to comply with European best practice and meet the standards set by terminals across the country. Hial last year sought to find suppliers for the installation, and the appointment of contractors was made last week. A spokesman for Hial said: “Hial is undertaking an upgrade to the hold baggage screening equipment at Inverness which will see the installation of the latest Standard 3-approved explosives detection system (EDS) machine, aimed at enhancing the customer experience. The works are expected to improve the overall level of customer service by ensuring that security checks are conducted more efficiently. 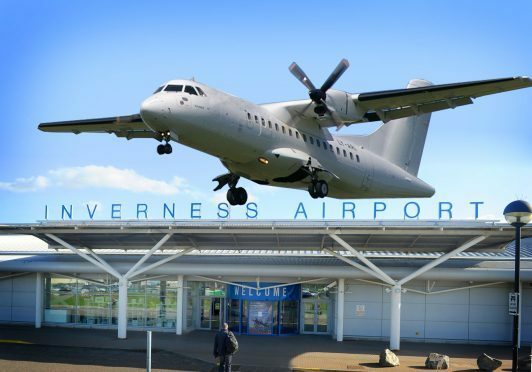 Inverness Airport’s numbers increased by 46,855 to 875,873 last year. A recent study, commissioned by Highlands and Islands Enterprise (HIE) and Hial, found the airport generates £33.3 million each year for the Highland and Moray economies and supports the around 748 jobs. Hial is the company that owns and operates 11 airports in the Scottish Highlands, the Northern Isles and the Western Isles. The company is wholly owned by the Scottish Ministers, and is funded by the Scottish Government. As well as Inverness, they operate airports at Barra, Benbecula, Campbeltown, Dundee, Islay, Kirkwall, Stornoway, Sumburgh, Tiree and Wick. A total of 1,780,521 customers used Hial airports between April 2017 and March this year. This was an increase of 112,098 passengers on the 2016-17 total of 1,658,423. It said highlights over 2017-18 included a 17.9% growth in passenger numbers at Sumburgh Airport, a 9.3% year-on-year increase at Barra, 9.1% additional customers at Kirkwall and 8.4% more passengers at Islay.